The Crackman for Kids Foundation is all about giving back to those in the Community in need. 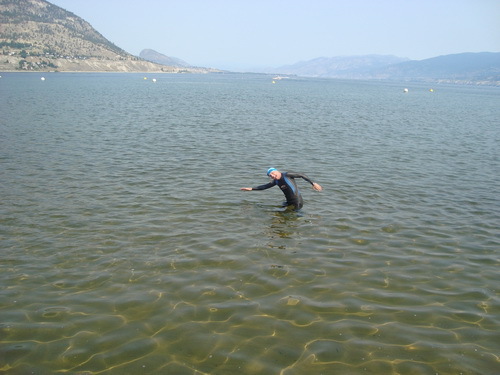 Gaynes Smaleygh is an accomplished Triathlete and has participated in the "Ironman Triathalons". 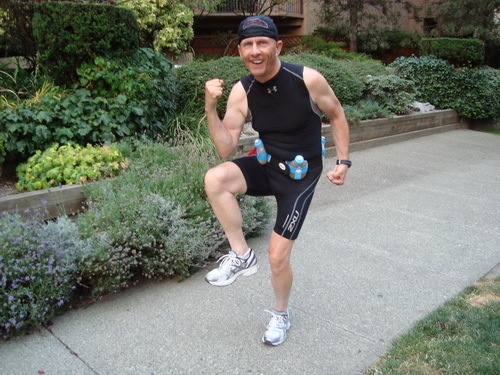 The goal of his Ironman Triathalon racing has been to raise funds for his "Crackman For Kids Foundation". 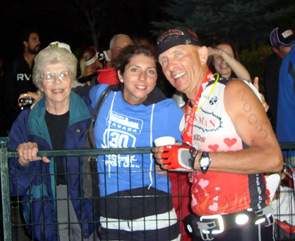 Gaynes celebrates with friends and Family after completing for the 2012 Ironman Triathalon in Penticton, BC. Over the years Matt Neil and Gaynes Smaleygh have always supported kid's causes: Canucks for Kids, CKNW Orphans Fund, Surrey Christmas fund and Elks Summer Camps for Kids. From Day 1 Gaynes always had the belief that we should give back to the communities in which we work. As a result, we formed our own foundation: Crackman for Kids Foundation. Gaynes is dedicated to ongoing efforts in support of children's development and sponsorship of children in need. To find out how you can help too, just give Gaynes a call at 604-690-7030! 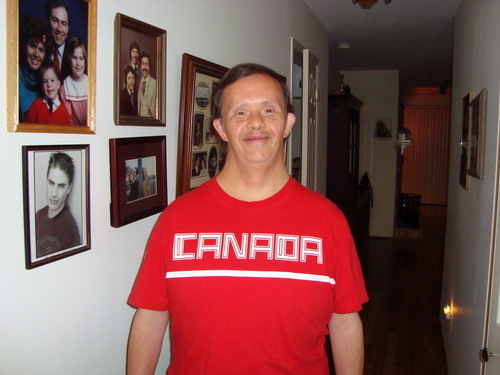 Gaynes has been blessed by exposure to Down Syndrome through his brother, Clay, who is and always has been a major source of happiness and learning and a special blessing for me. Anyone who has ever experienced a relationship with a Down Syndrome person will tell you about those who do not criticize, gossip, judge others and are so friendly and genuinely happy that smiles and laughter truly comes naturally. Please follow our progress as we continue to develop our Foundation's Support for disadvantaged kids in all walks of life. We thank our franchisees and all of you who have donated generously to our fundraising events. We hope you will continue to be "Cracking Right Along" with the Crackman For Kids Foundation! Gaynes and his Family made outside their North Vancouver home. 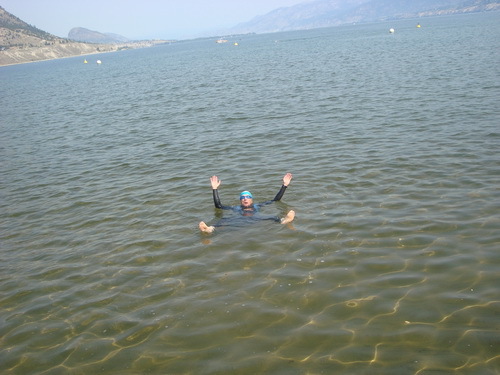 2011 was the 2nd Annual Crackman For Kids Foundation fundraiser at the 2011 Ironman Triathalon in Penticton, B.C. It seems that Gaynes' training Coach has put him on the fast track to have a fun-filled, successful event. 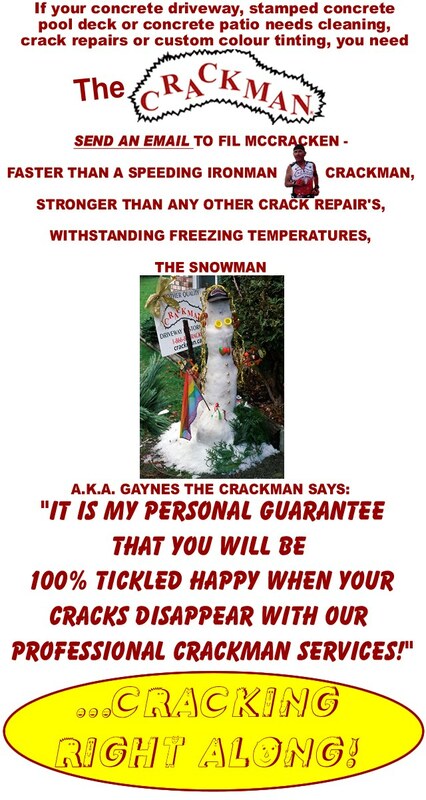 Gaynes is "cracking right along" in his training and should be assured to demonstrate what he is "cracked up" to be, a Human, a Crackman and an Ironman Triathlete. for those trying moments along the way. An out of the water power stroke for a very fast water entry. will surely come in handy to ensure he will be "all cracked up to be all that he can be". The marathon (42km) another first, power take off running, what form, style and beauty - it just doesn't get any better! !